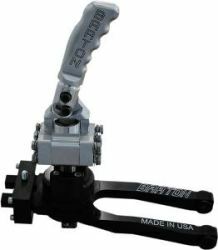 Enhance the look and performance of your HEMI with these shifter Kits. Hurst Replacement Shifter Now for boring HEMI part, an inanimate carbon steel rod... well it's not that dull if you have a broken Hurst shifter and need a replacement unit. 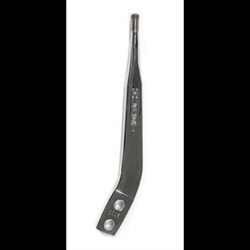 This high quality stick is constructed from a high strength steel, with a 3/8''-16 thread size and a 7/8" center-to-center spacing. 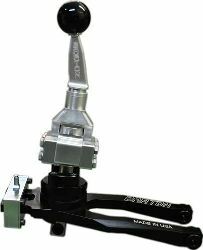 It may be used with many Hurst T-Handles and shifter knobs. Hurst logo is embossed on the side. 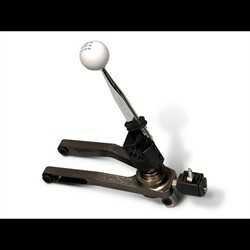 Hurst Challenger LC Shifter Hurst Pistol Grip Shift lever is only available through Mopar! 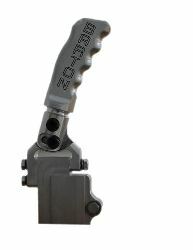 Give your Challenger the muscle car lookand feel but with modern carbon fiber finish it deserves with a factory reissued pistol grip shift levers from Mopar / Hurst.